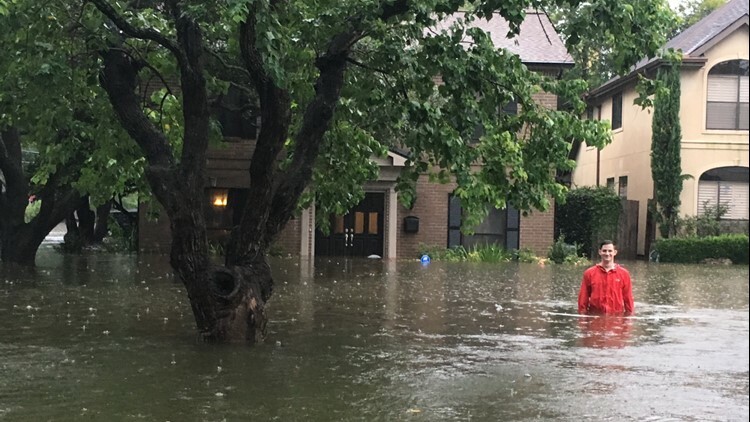 If you've lived through Houston rains, you know when it's a bad one. I can’t remember which room at KHOU I was sleeping in when I got the phone call. Or what time it was. I know I was alone and it was dark. I do remember my boss saying these words. I got on my feet and headed downstairs to the newsroom. It was still mostly dry, but climbing upstairs past me were people carrying cameras and any other equipment that could be saved. I remember going around the newsroom with people putting personal items on top of desks in an effort to keep them out of the water. By 7 a.m., the newsroom was about empty. 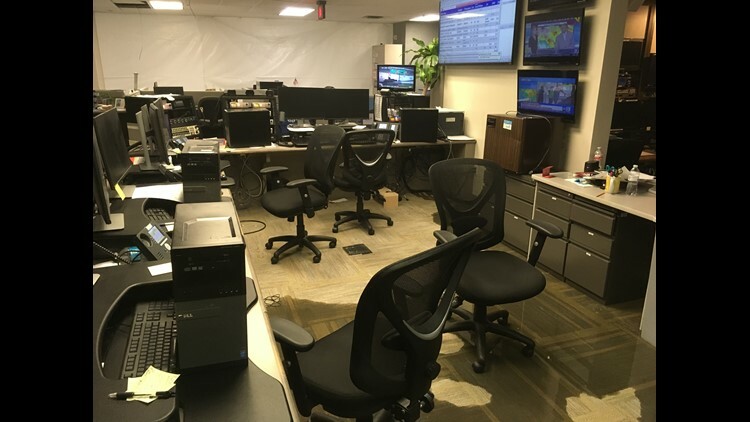 KHOU 11 Managing Editor Bill Bishop recalls Hurricane Harvey, what it was like both personally and professionally. Eight o’clock to nine o’clock on the morning of August 27, 2017 was like an out of body experience. By 8a.m., the KHOU staff had moved safely to the second floor. We huddled with management and discussed our situation. We were down to one remaining exit onto a dry street. This was a once-in-a-lifetime moment. I knew it and I took a picture of it. That’s KHOU President and General Manager Susan McEldoon in the red hat. She was strength in the face of adversity that day. It was the kind of alert that made a person call home. That’s when I learned my house had flooded. My wife said at 3:30 a.m. there was no water in the house. By 9 a.m., there was two feet of water in the house. It would stay there for 24 hours. It stank and the power had gone out. My wife sent me a picture of our son out in the street. I couldn’t believe this was happening, much less on his birthday weekend. I texted him and told him I loved him. We had never flooded before. 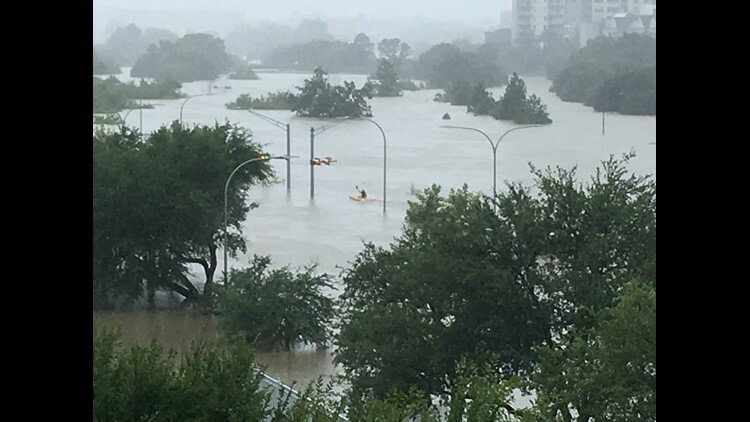 If we were underwater, maybe all of Houston was. As bad as I felt about not being there to help my family, there was no time to think about it. 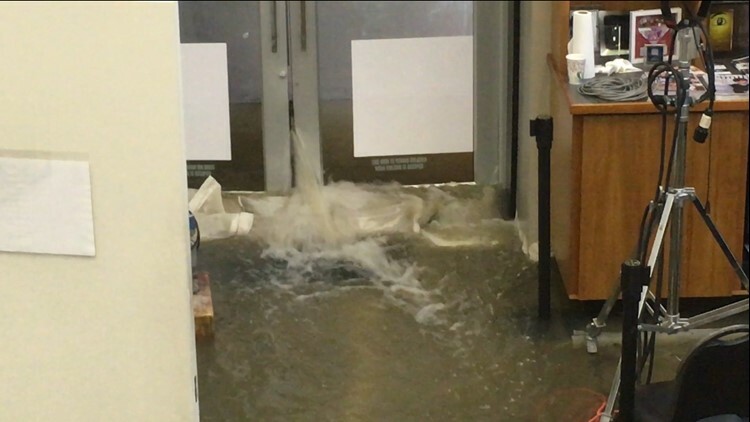 Someone told me the KHOU lobby was flooding. I quickly went to the top of the lobby stairway and looked over the railing. Buffalo Bayou was gushing in through the front doors. When Tom Hanks and his troops couldn’t hold the town any longer, their plan was to retreat across the bridge and make their last stand. About that time, word came down that we were pulling out and crossing the street to high ground at the Federal Reserve Bank. I can’t thank the Federal Reserve enough. The friendly people there helped us at a crucial time, providing shelter, restrooms, food and for the moment, peace of mind. We were safe and dry. I gathered our weather team in one of the meeting rooms to take a picture. They had been working around the clock all weekend to keep Houston informed about Hurricane Harvey. I walked out on the balcony of the Federal Reserve. I remember it was breezy and drizzling. I saw something I had only seen once before during Tropical Storm Allison. 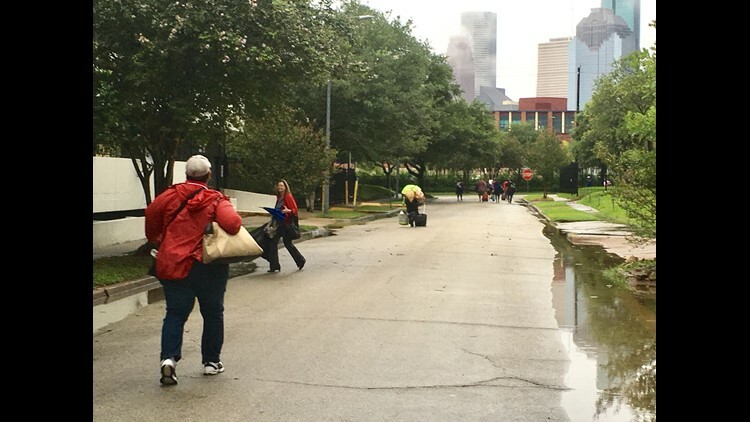 Buffalo Bayou was out of its banks and stretched wide, as far as the eye could see. A man in a kayak paddled by. 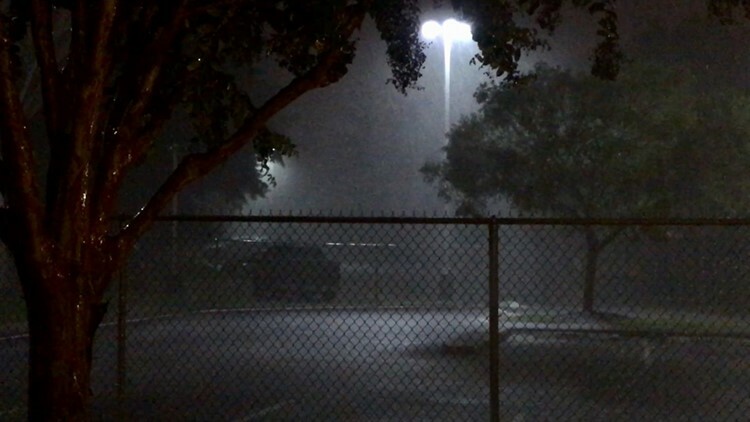 My mind drifted to General George Patton’s weather prayer, "Father, we humbly beseech thee...to restrain these immoderate rains with which we have had to contend." But the rain kept falling. 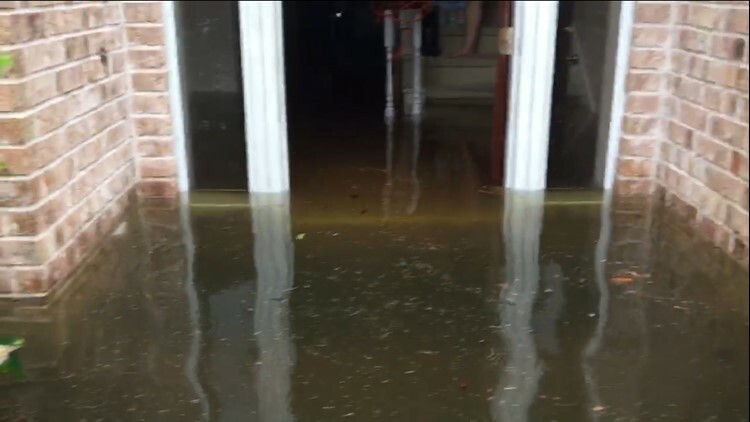 Late in the afternoon, my wife sent me a video of our flooded home. She told me some amazing stories. Our son had waded two streets over and carried an elderly woman out of her house, saving her life. She told me the next door neighbors had been flooded out of their single-story home and had retreated to our second floor with their dog. And she told me that even the rats had evacuated the sewer and were now clinging to the trees in our front yard. I also learned my sister’s home had flooded. And my mother’s nursing home. Fortunately, everyone was safe, but it was as if everything had merged into one, and a river was running through it. Later that day, the KHOU staff would move again, to KUHT at the University of Houston. Again, we can’t thank them enough. KUHT has been very kind to share their building. We planted our flag there and started our comeback. For me, it was like going back in time. I had graduated from the University of Houston years before. Now, here I was on campus again. One part of my life that was still dry. I picked out a dark office at Ch. 8 that night and lay down on the floor to get some rest. 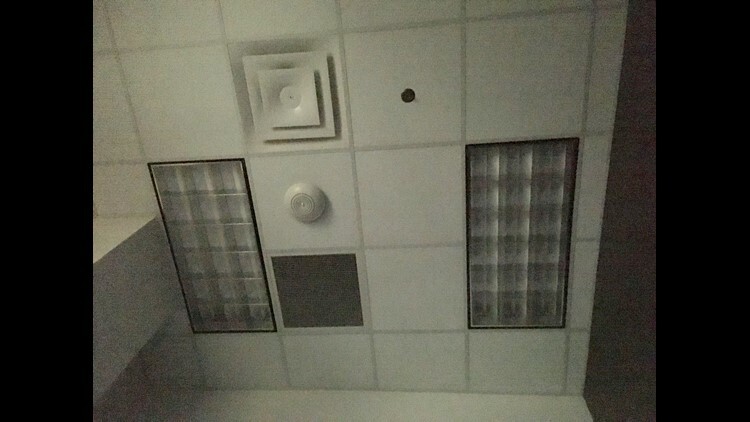 I remember looking up at the ceiling.